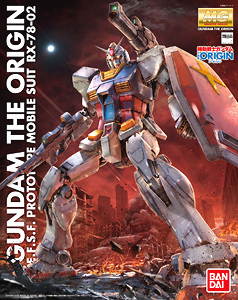 Origin version-specific mobile and distinctive commercialize Katsuaki reproduce origin version of RX-78 Gundam a new fixed-armed! Taking advantage of setting, waist front and rear left and right and boldly moving, movable ankle reproduced in a new interpretation! Achieve lively posing! Ankle and review the structure of the armor, and achieve high ground resistance. Knee thigh armor slide movable on the movable time! - Incorporating the new movable, and moving to the left and right front and rear. By mounting the optional LED unit, possible an emission of camera eye.